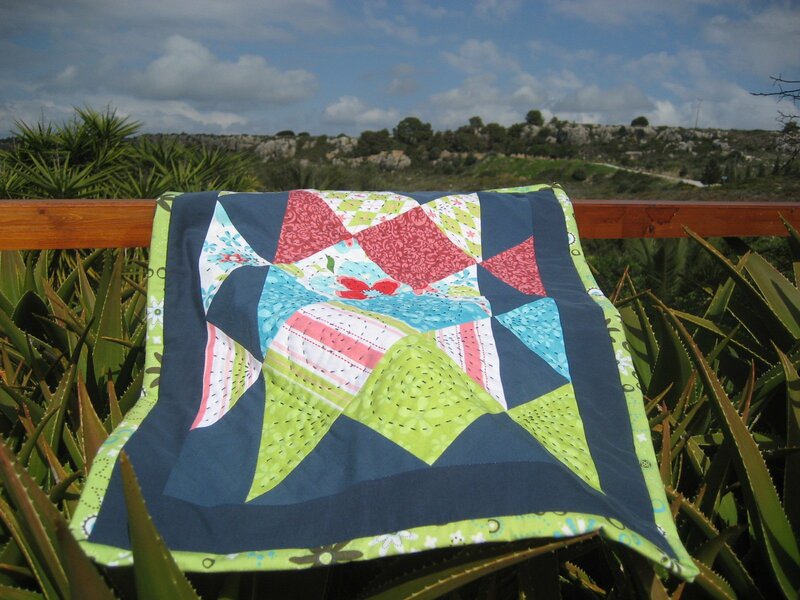 Mini quilts are so fun, and this one is absolutely scrumptious! 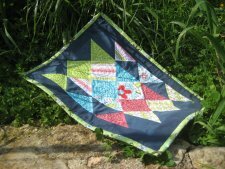 Teje Karjanailen of Nero's Post and patch is a Finnish quilter living in Greece, and her design looks like a yummy assortment of hard candies in multi-colored wrappers. 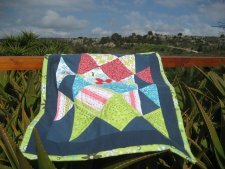 "Time to show you how I made this mini quilt. This time I have made short and simple tutorial with ‘photo blocks’! "If you have any questions, I am more than happy to answer! If you haven’t made patchwork yet, I really recommend you try! It is so much fun! Enjoy and create! "Thank you for your visit! Happy sewing!"